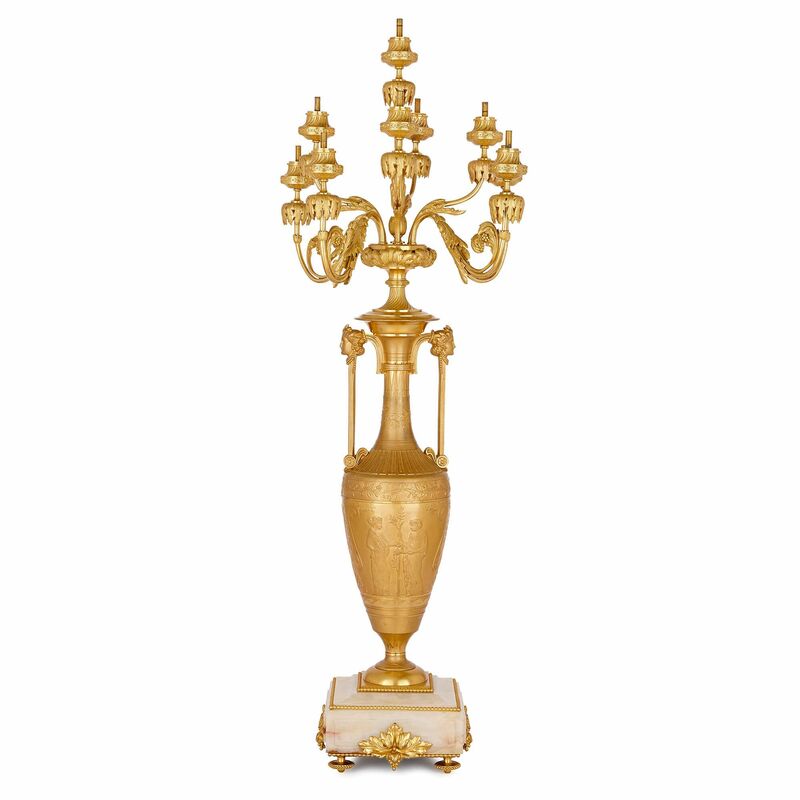 Crafted by Cahieux and the Barbedienne foundry, this large twelve-light candelabrum has been executed with great skill in the fashionable Grecian style. 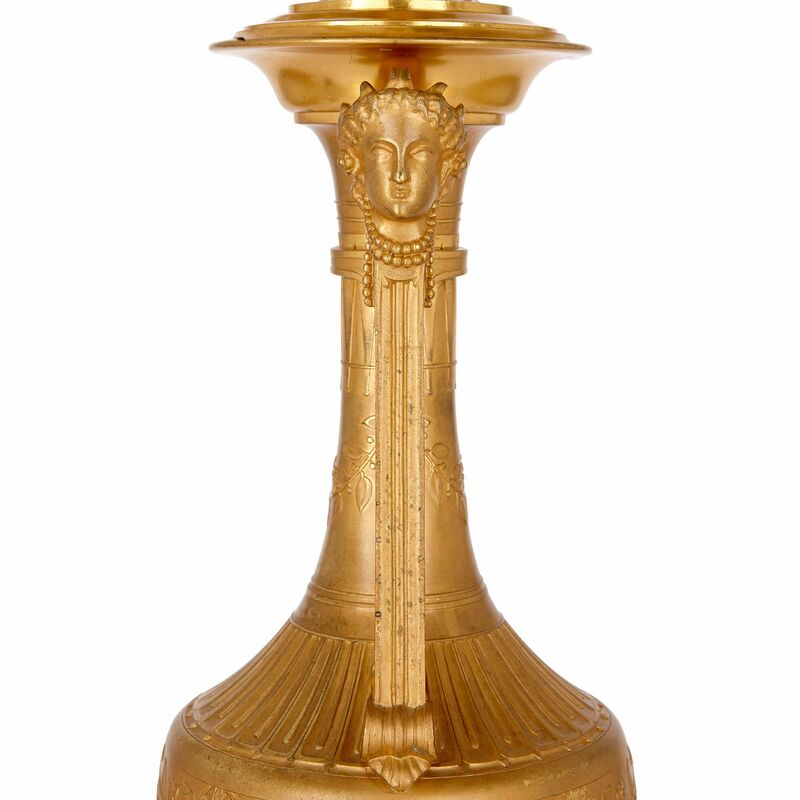 This Grecian style twelve-light candelabrum has a vase form body and is set on a rectangular white, red-veined onyx pedestal. 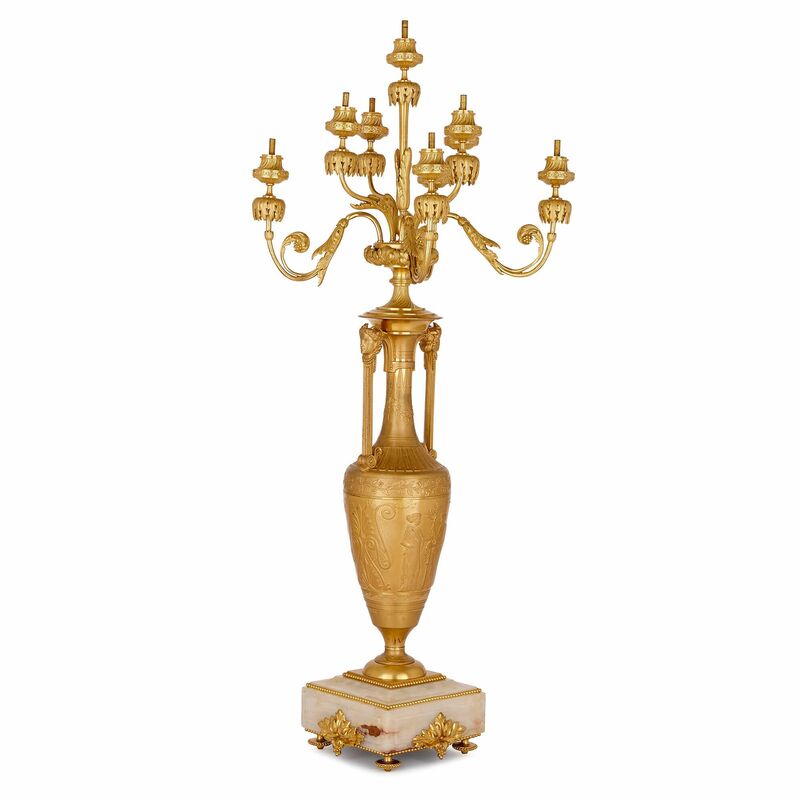 The candelabrum is raised off the ground by an onyx pedestal, which is articulated by an ormolu beaded edge and decorated with classically-inspired leaves cast in ormolu. This base is set on four toupie feet. The main body of the candelabrum takes the form of a Grecian loutrophoros vase, which has an elegant, elongated neck and twin handles. In ancient Greece, these vases were used to carry water, traditionally for a bride's pre-nuptial bath and in funeral rites. It is possible that the imitative relief carving, which shows a woman pouring water into a shallow dish, carried by a man holding a staff, relates to one of these rituals. 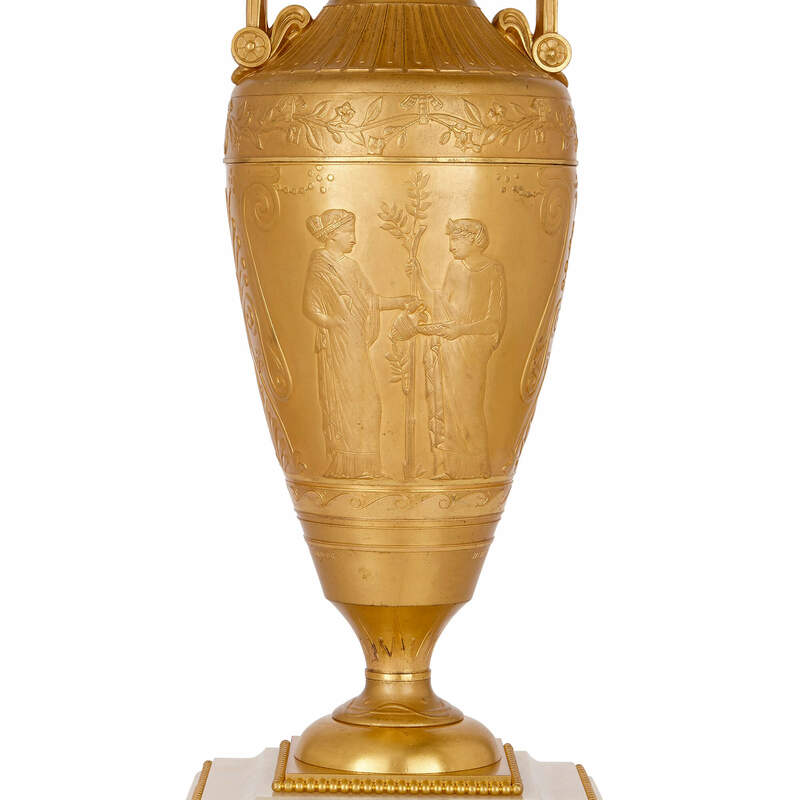 Aside from the figures, the vase is ornamented with flower garlands, scroll-work and fluting. 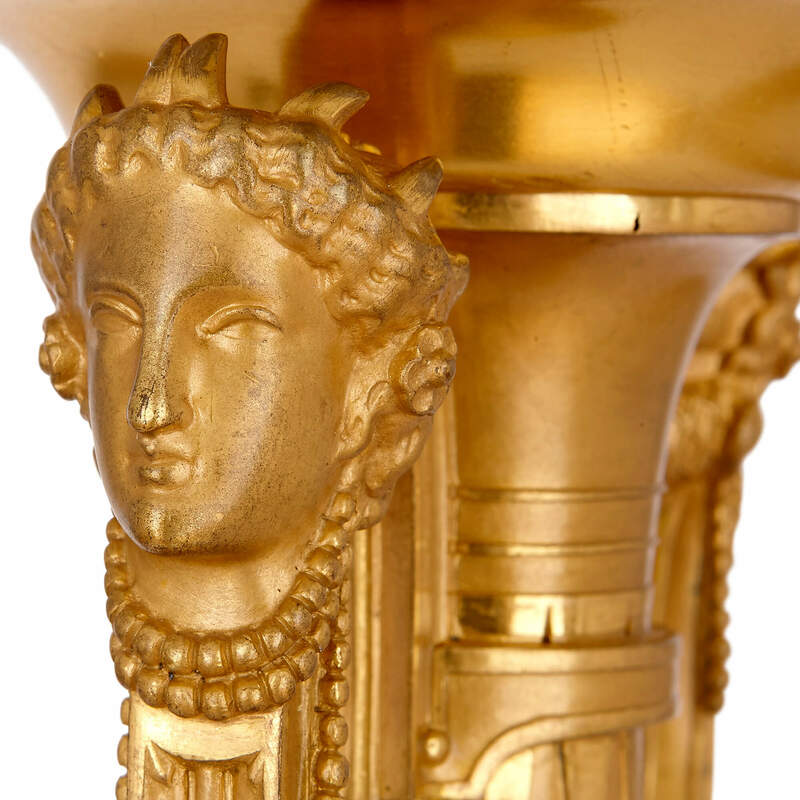 From the shoulders of the vase spring two handles, which extend upwards to form classical female masks. Crowning the vase, above a fluted neck, is a bowl of up-turned acanthus leaves, from which the twelve lights of the candelabra spring. 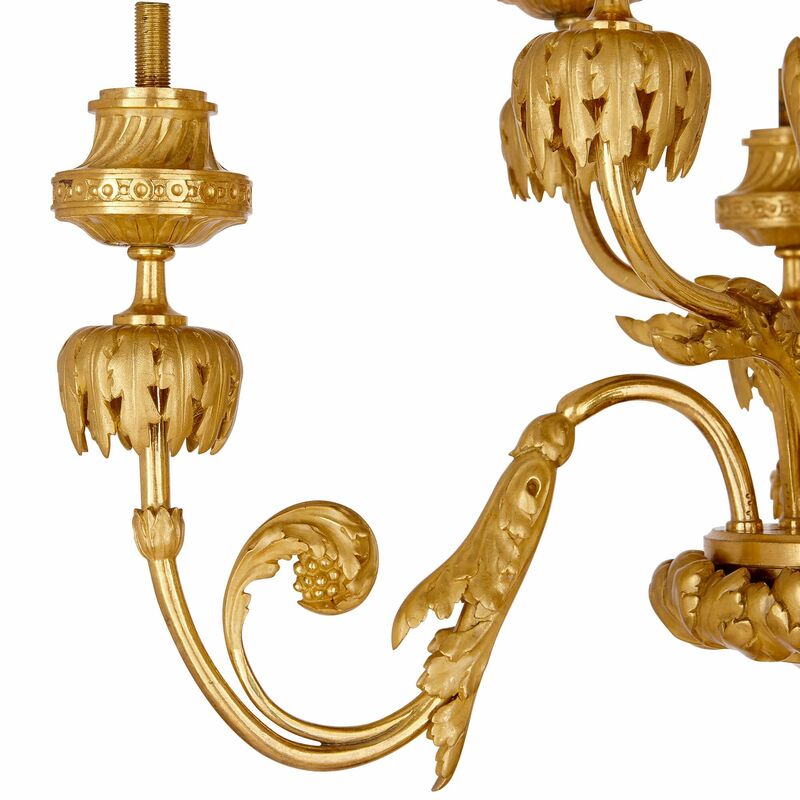 These lights have been cast as the unfurling branches and leaves of an acanthus plant. The thin arms curl up to form the lights, which are each given a skirt of down-folded acanthus leaves, and topped by a capital featuring fluting and banding. The body of the candelabrum is signed 'F. 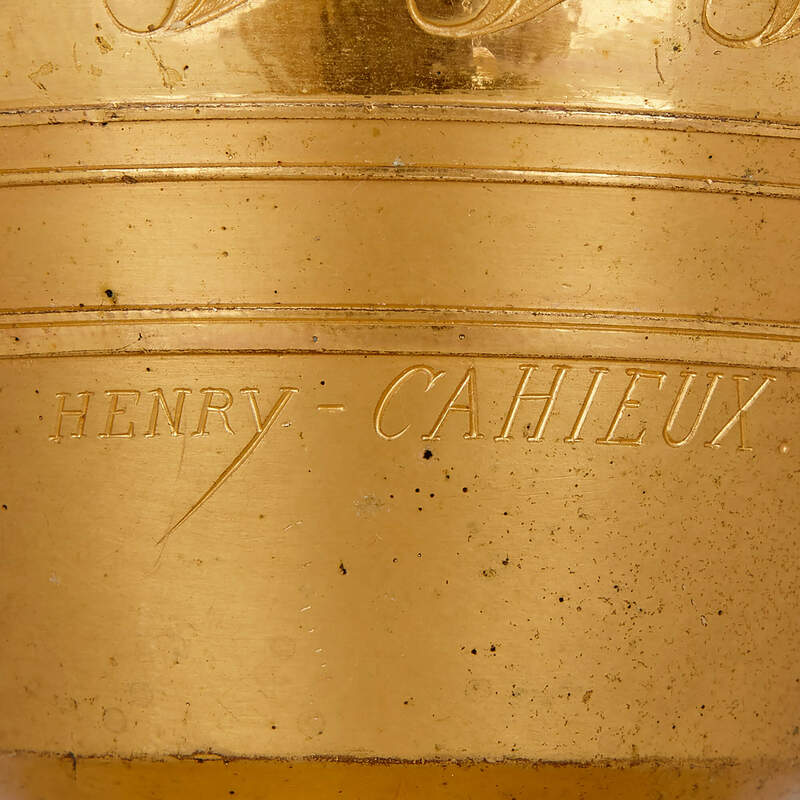 Barbedienne, Fondeur' and 'Henry Cahieux'. 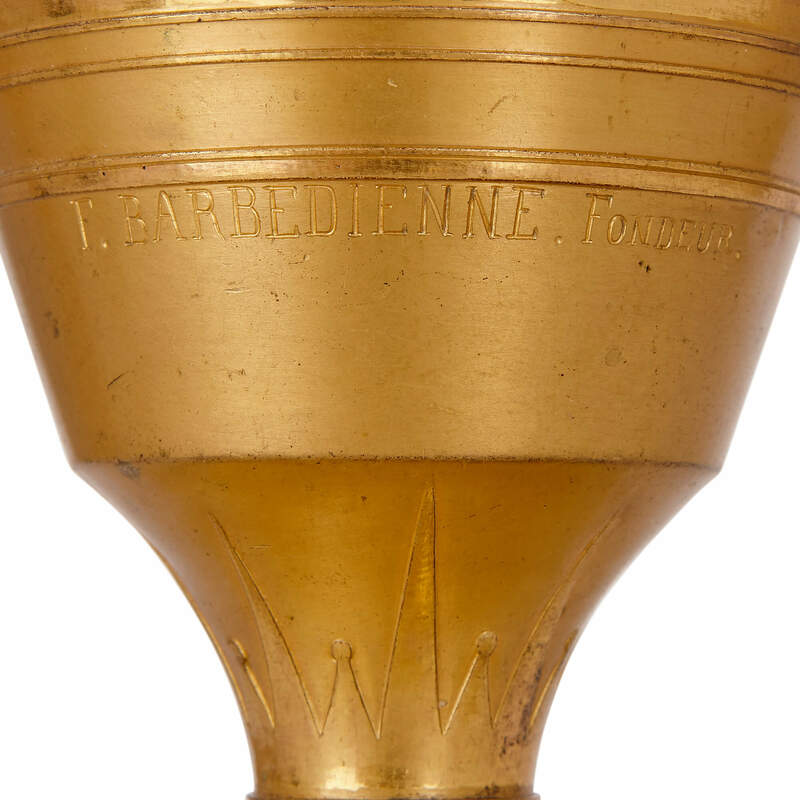 Cahieux was head decorator at the famous Barbedienne bronze foundry in France. He was a chief exponent of the Grecian style, and he submitted several designs to the Paris Salons of 1850 and 1853.